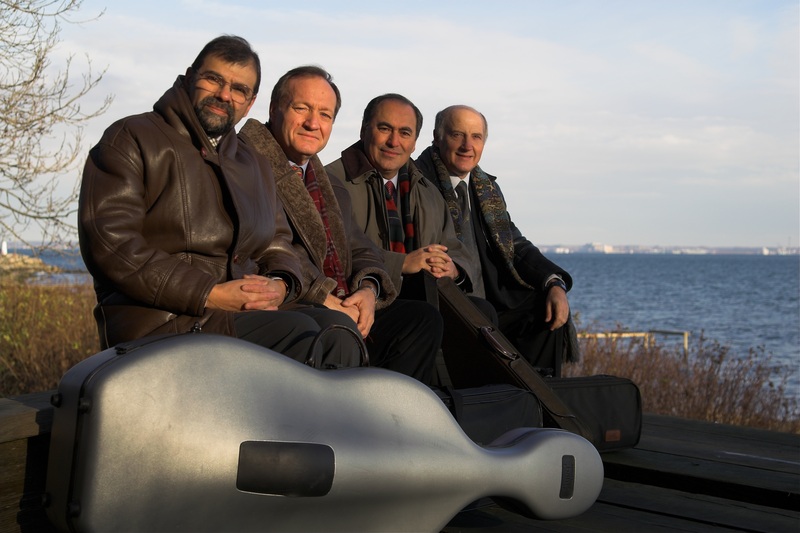 Founded by experienced chamber musicians steeped in the standards and style of the classic Russian school, the Kopelman Quartet carries forward a rich inheritance of technical excellence, lyricism, grace and musical integrity. 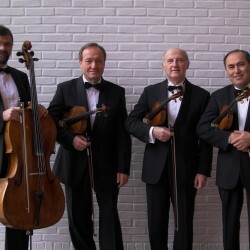 Mikhail Kopelman, Boris Kuschnir, Igor Sulyga and Mikhail Milman all graduated from the Moscow Conservatoire in the 1970′s, this institution’s golden age, when the students regularly worked with musicians and teachers such as David Oistrakh, Boris Belenky, Yuri Yankelevich, Fyodor Druzhinin, Dmitri Shostakovich, Mstislav Rostropovich and Natalia Gutman. 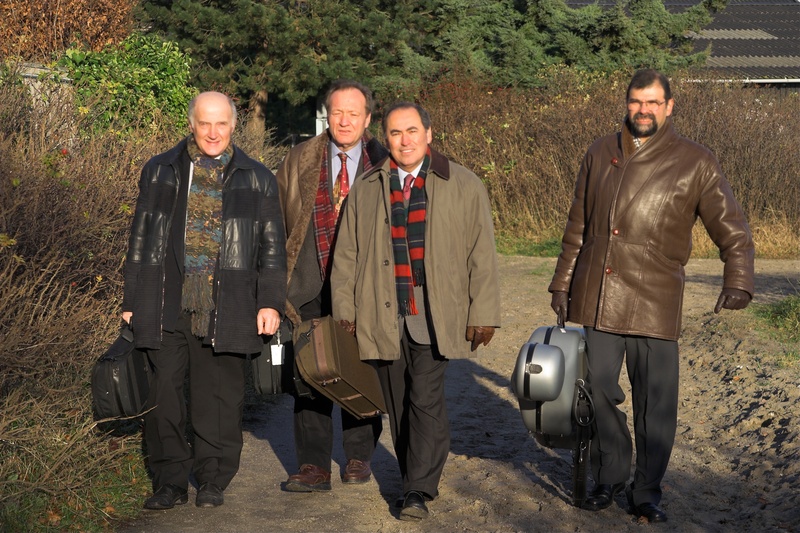 These strong musical influences have remained with the members of the Kopelman Quartet, even though they pursued individual careers for twenty-five years before founding the quartet in 2002. Mikhail Kopelman, first violin, was the renowned leader of the Borodin Quartet for twenty years, playing with artists including Sviatoslav Richter, and was awarded the Royal Philharmonic Society Award and the Concertgebouw Silver Medal of Honour for his extraordinary achievements in chamber music. Boris Kuschnir, second violin, was a prize-winner at many international violin and chamber music competitions and is a distinguished teacher whose pupils include Julian Rachlin and Nikolai Znaider. Igor Sulyga, viola, played for twenty years with Vladimir Spivakov, in the Moscow Virtuosi Chamber Orchestra, in his string quartet and in chamber music recordings. As founding members of the Moscow String Quartet, both Boris Kuschnir and Igor Sulyga worked with Dmitri Shostakovich on his late quartets. Mikhail Milman, cello, was for twenty years principal cellist of the Moscow Virtuosi and has collaborated frequently with Mikhail Kopelman and the Borodin Quartet in concerts and prize-winning recordings. 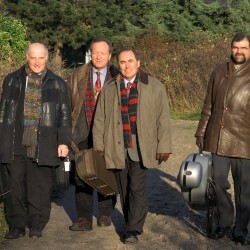 The common roots and background of the musicians enabled the Kopelman Quartet quickly to grow to maturity, and their Edinburgh Festival concert, just one year after their foundation, received extraordinary reviews, referring to “every hallmark of distinguished musicianship” and “great humanity in the finesse of their playing”. 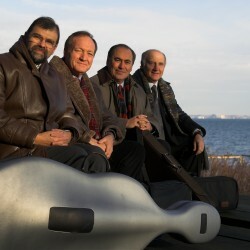 Now established as significant chamber ensemble, with no changed in personnel since foundation, the quartet has played at many major international venues, including the Musikverein, Vienna, and the Dom Muziki, Moscow, and appears regularly at venues such as the Concertgebouw, Amsterdam, the Wigmore Hall, London, and the Royal Palace, Madrid. Chamber muisic partners have included Elisabeth Leonskaja, Mischa Maisky and Julian Rachlin. 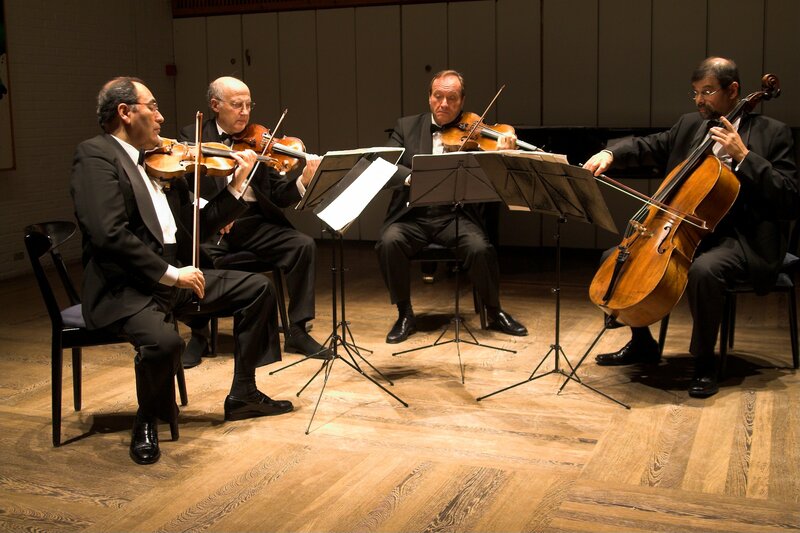 The Kopelman Quartet is recording a Shostakovich Plus series for Nimbus Records and has also recorded for Wigmore Live, the Wigore Hall’s own label. Recorded repertoire includes music by Shostakovich, Prokofiev, Myaskovsky, Tchaikovsky and Schubert. Soon to be released on Nimbus is the Weinberg Piano Quintet, with Elizaveta Kopelman, coupled with Shostakovich’s 10th string quartet. 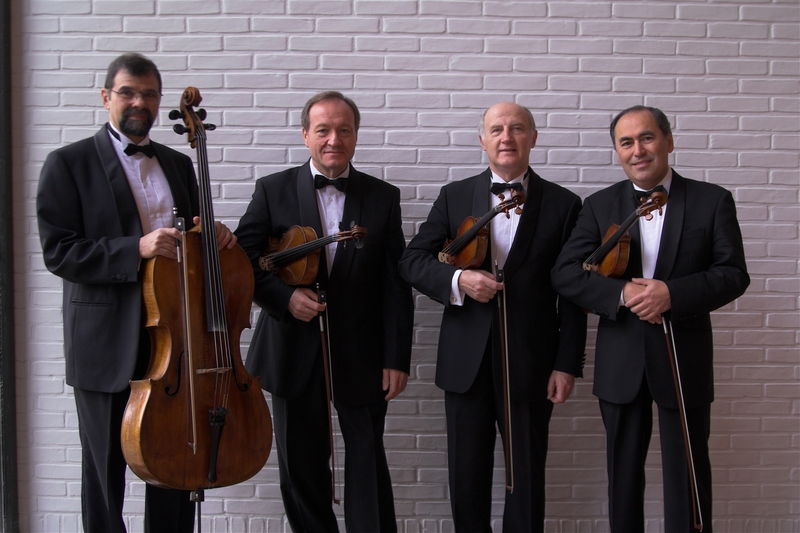 The Kopelman Quartet has given concerts in the United Kingdom, Spain, Portugal, Austria, Italy, the Netherlands, Belgium, Germany, Denmark, Sweden, Switzerland, Slovakia, Cyprus, the United States, Canada and Russia; festivals in which they have played include the Edinburgh International Festival, the Valladolid Festival, the Zurich Festival, the Colmar Festival, Prague Spring Festival, December Nights, Moscow, and the Ravinia Festival in the United States. In 2011, they play at venues including the Wigmore Hall and the Concertgebouw and they return to the Edinburgh Festival. Future engagements include their return to the Wigmore Hall and the Musikverein. Boris Kuschnir plays the violin by Antonio Stradivari “La Rouse Boughton”, 1703, by courtesy of the Austrian National Bank.